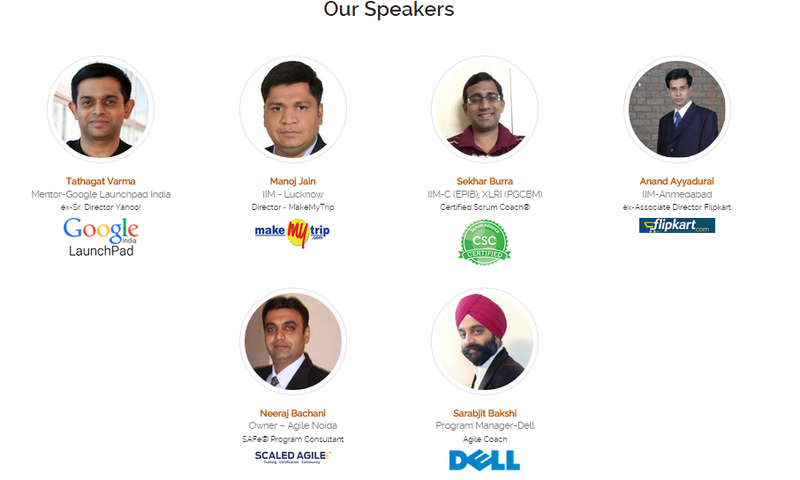 Agile Carnival Chandigarh 2015 is a two day conference taking place on April 4 - 5 in Chandigarh. The conference focuses on transforming businesses using agile and lean methodology. The conference is powered by SCRUM ALLIANCE. As a participant, you also get a chance to look into the future of Agile methods and discuss and deliberate with experts on how to take your organization to next level of maturity using Scrum , Lean and other new age principles and practices.